Also, I made a little rosette for the hair or the tutu and bought some felt and small rhinestones to make it (but this is not required for the actual tutu part). 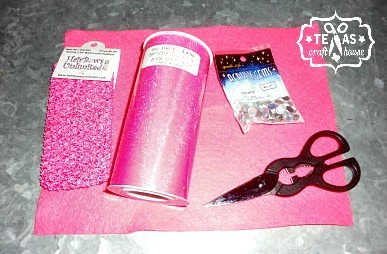 First I cut many many many strips of tulle to prep the craft. When I was all set I began by folding one length of the tulle in half. 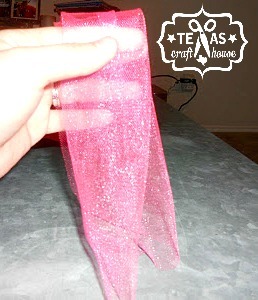 How long or short your tutu’s width is depends on how you cut the tulle ribbon. 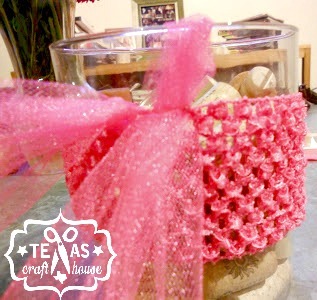 Then I placed my pink headband on a round vase that I had in the living room. I pulled the tulle that I still had folded in half through one of the open spaces at the top of the headband. Then I pulled the two ends through the hole (like a simple knot). I gently worked at pulling the ends tighter so that the knot looked tight on the headband. Be very careful here because the headband is delicate. Repeat this step all the way around the headband. Having the headband on this wide candle holder/vase made it much easier to work with. This part did take a while, but I was doing it while watching The Bachelor. 🙂 Here is a top view of the tutu wtih me halfway done! Here is the small rosette I made for a headband or to put on the tutu. 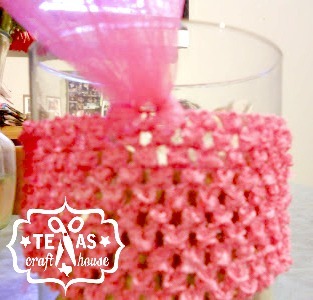 I used the same steps that I used in my flower rosette tutorial. 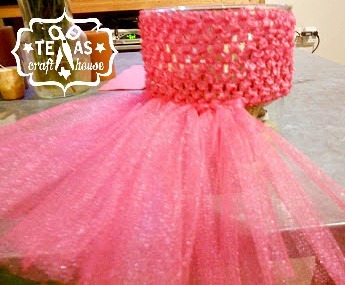 Here is a side view of the finished tutu with the small tulle rosette and rhinestone! 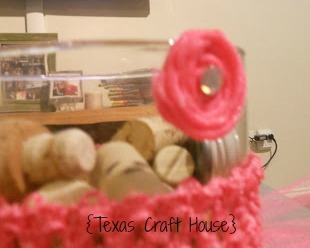 This craft was so much fun and I cannot wait to make more! They are easy and VERY inexpensive. They will always be apart of my baby shower gifts from now on. 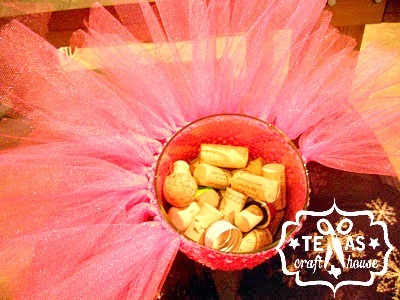 No reason to spend so much money on tutus! You could play with using several tutu colors (black and white or rainbow). 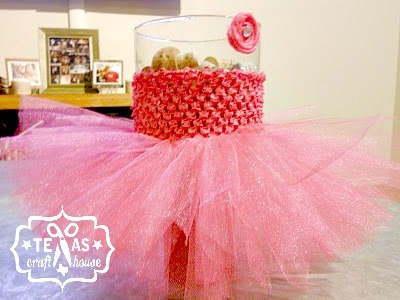 I’ve also heard of people using these tutus for baby showers and putting them on tables as center pieces. I think this idea would work for girl birthday parties too! Thank you for stopping by and supporting our blog! Check back soon for more creativity!